Amazon created the free shipping business model over two days for Prime members. Now, the ecommerce giant plans to cut that shipping time to one day worldwide. Speaking April 25 on the fiscal call, CFO Brian Olsavsky said Amazon would spend upwards of $800 million in current second quarter on fulfillment expenses related to cutting the shipping window in half. Amazon said it generated the largest number of new Prime members in 2018, due in large part to free shipping on more than 100 million items. The company currently offers one-day, same-day and two-hour (Prime Now) shipping on select items for an additional fee. Most free shipments are two-day. He said the switch would requiring building-out shipping capacity both internally and with third-party services such as UPS and the U.S. Post Office. “We’ll just have to see what changes have to be made to get more [product} selection into that one-day category,” Olsavsky said. Amazon last year became the largest single customer for Mercedes Sprinter vans in the world — a purchase it has incorporated into branded Prime delivery fleet. “We really think it will be groundbreaking for Prime customers,” Olsavksy said. Amazon Dec. 26 announced a record-breaking holiday season, with more items ordered worldwide than ever before. The e-commerce behemoth said consumers shopped at record levels from a wide selection of products across every department. Best-selling products this season included, all-new Echo Dot home speakers and Bose wireless headphones, among others. “This season was our best yet. We are thrilled that in the U.S. alone, more than one billion items shipped for free this holiday with Prime,” Jeff Wilke, CEO worldwide consumer, said in a statement. Customers made their homes even smarter this year with a record number of smart home devices sold on com; best-selling smart home devices included Amazon Smart Plug, Ring Video Doorbell 2, TP-Link Kasa Smart Plug Mini Outlet, and the iRobot Roomba 690. The best-selling electronics this holiday season included Bose QuietComfort 35 (Series II) Wireless Headphones, the Samsung Flat 65″ 4K UHD 8 Series Smart LED TV, Apple iPad (Wi-Fi, 32GB) in Space Gray, Wemo Mini Smart Plug, Blue Yeti USB Microphone in Blackout, Wyze Cam 1080p HD Indoor Wireless Smart Home Camera, and HP Sprocket Photo Paper. The best-selling items at Amazon Books this holiday season included Becomingby Michelle Obama, Diary of a Wimpy Kid #13: Meltdown by Jeff Kinney, Sapiens: A Brief History of Humankind by Yuval Noah Harari, Kindle Paperwhite, all-new Echo Dot, and the L.O.L. Surprise! Bling Series toys. Amazon has developed a niche revenue stream endorsing third-party over-the-top video services through its Prime Channels platform. Now, the e-commerce behemoth has launched a page/link highlighting original and third-party movies and TV shows garnering the industry recognition worldwide. Dubbed “Critically Acclaimed,” the page showcases movies and TV shows nominated for, and winners of the Golden Globes, Oscars, Emmys, Golden Lion (Italy), Filmfare (India), BAFTA (United Kingdom), Sundance, Golden Bear (Germany), Cannes (France), Golden Leopard (Switzerland), and European Film Academy recognition. Separately, Amazon released its January slate of new series and movies available for rent, purchase and streaming on Prime Video. Amazon Dec. 2 announced that its branded Fire TV Stick streaming media device with Alexa voice-recognition software was the top-selling item for Prime members in 2018. That was followed by the Echo Dot home speaker – which was also one of the most gifted items during the week leading up to both Mother’s Day and Father’s Day, and the best-selling product on Amazon during the Black Friday and Cyber Monday holiday weekend. The $119 annual Amazon Prime membership platform, which includes Prime Video, is available in 17 countries. Prime Video is available globally and separately for $8.99 monthly. 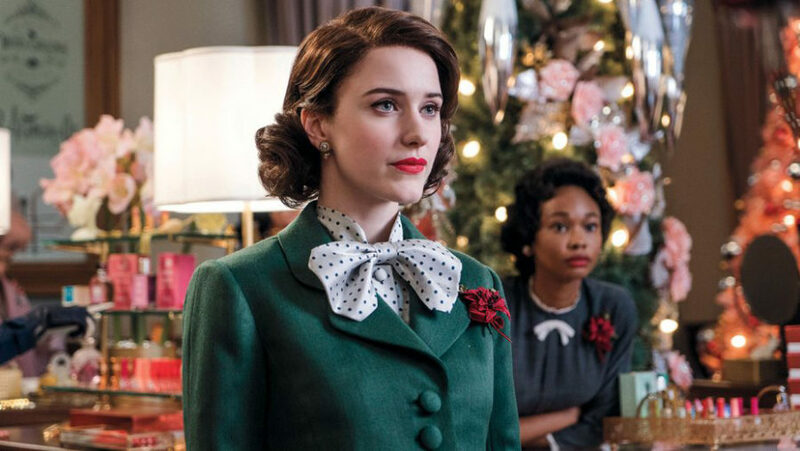 Top home entertainment honors in the U.S. went to original TV series, “The Marvelous Mrs. Maisel” (most awarded show – 8 Emmy Awards – on Prime Video),“Tom Clancy’s Jack Ryan,” starring John Krasinski, and “Homecoming,” starring Julia Roberts in her first TV show (most binged shows on Prime Video), and Justin Timberlake (most streamed artist on Prime Music). 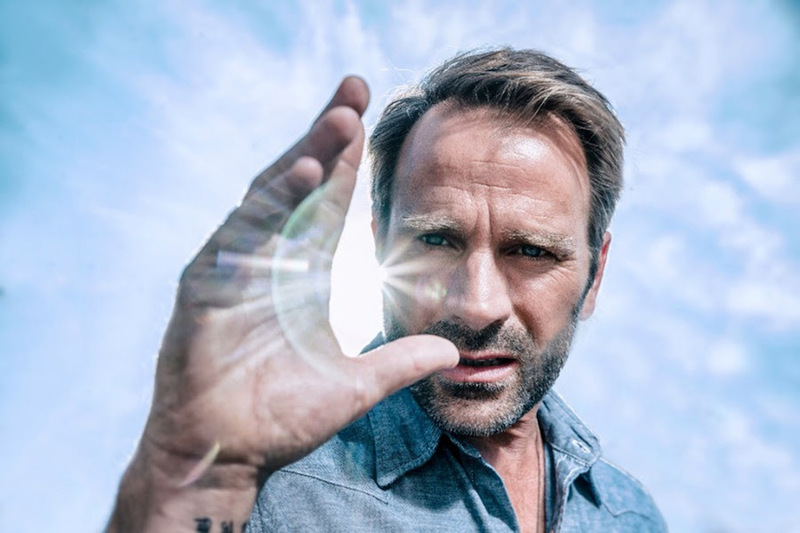 Notably, “X-Ray,” the bonus material feature available on Prime Video that allows viewers to go behind the scenes of movies and TV shows and get access to cast photos, bios, filmographies, sound track info and trivia, continues to resonate with Prime members. Movies included Baywatch; Jack Reacher: Never Go Back; Transformers: The Last Knight; Twilight; and Valerian and the City of a Thousand Planets. “Prime members worldwide ordered more than two billion products for one-day delivery or faster in the last year, which is pretty amazing,” Cem Sibay, VP of Amazon Prime, said in a statement. The top three cities worldwide that streamed the most hours of Prime Video per capita include Santa Clara, Calif., Norderstedt, Germany; and Tokai, Japan. Prime members in the U.S., U.K. and India streamed more Prime Video than any other country between the hours of 7 a.m. and 9 a.m. local time. The nine NFL games thus far on Prime Video and Twitch have combined to reach 20 million total viewers in over 200 countries and territories and all 50 U.S. states. The top three American cities that streamed the most minutes of Thursday Night Football so far this year include Atlanta, Denver and Seattle. The most streamed music artist was Justin Timberlake. Prime members’ favorite albums included Man of the Woods by Justin Timberlake, Camila by Camila Cabello, Astroworld by Travis Scott and Mitchell Tenpenny EP by Mitchell Tenpenny. Favorite songs sold (and recommended by Alexa) included “The Middle,” by Zedd, Maren Morris & Grey; “Lose It,” by Kane Brown; “Idgaf,” by Dua Lipa; “Better Now,” by Post Malone; and “Done for Me,” by Charlie Puth, featuring Kehlani. With a market cap approaching $800 billion, and fresh off a well-publicized search for a second corporate headquarter that saw hundreds of cities and local governments outbid each other with billions in incentives, Amazon’s perch atop the retail/e-commerce food chain would appear eternal. 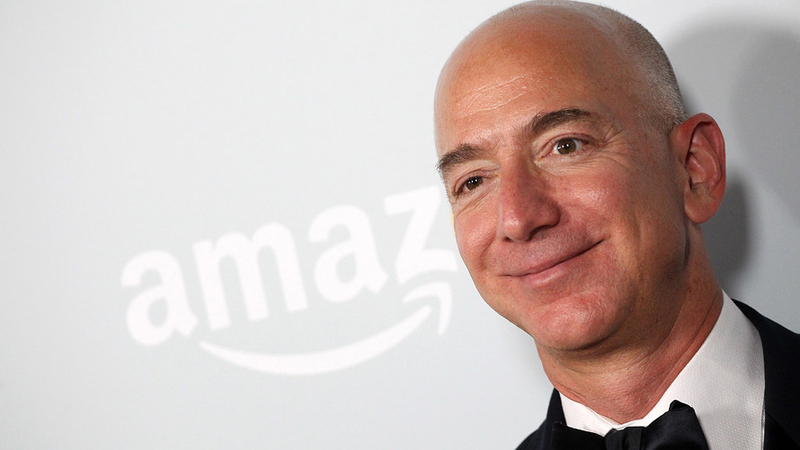 Not so, according to founder/CEO Jeff Bezos, who, when reportedly asked about the burgeoning growth of the company and its ramifications in a staff meeting at the Seattle headquarters, said Amazon would one day perish. 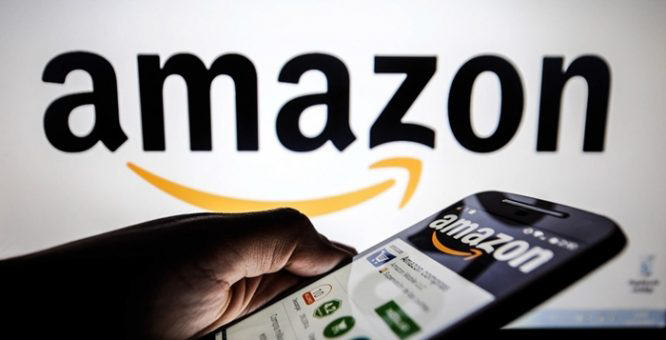 Bold talk considering Amazon has generated more than $7 billion in profit and $160 billion in revenue in just nine months this year. 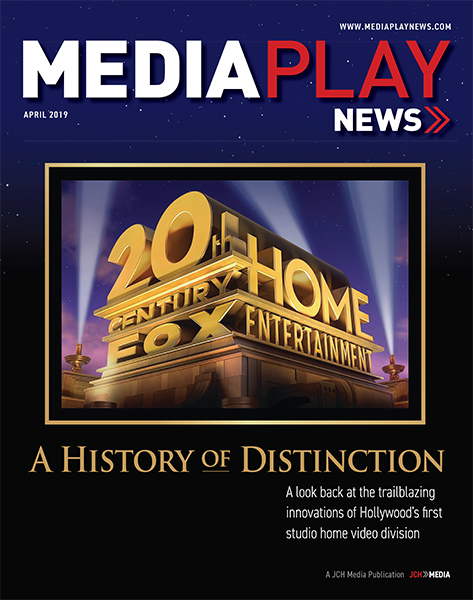 The company remains one of the largest retailers of packaged and digital media. And despite spending billions on original content, Amazon continues to promote the “free” Prime Video streaming video service largely as a loss-leader marketing tool – a strategy that unnerves Netflix co-founder/CEO Reed Hastings. The company has more than 600,000 employees globally, with plans to add 50,000 more between new co-headquarters in Arlington, Va., and Queens, N.Y.
Amazon is also adding 5,000 employees to a tech center in Nashville, Tenn. But Bezos warned that failure often follows companies that become more involved with their image than the needs of their customers. But as CNBC learned talking to some Amazon employees, internal image is not what concerns most staffers. Instead, government regulation and antitrust issues do. Indeed, the European Union and Japan are separately looking into antitrust issues involving Amazon merchant data. In the United States, President Trump has long voiced concern about Amazon’s relationship with the U.S. Postal Service, taxes, impact on small retailers and other issues. Some observers contend Trump’s apparent animus against Amazon is largely fueled by the fact that The Washington Post, which is owned by Bezos, often criticizes the president and his policies in print and online. “Breaking Big,” a documentary series that explores the unexpected journey to success of some of the world’s most influential artists, innovators, political leaders, athletes, authors and entrepreneurs, will be available on DVD Nov. 13 from PBS Distribution while season two of the series “Jamestown” will premiere on PBS Masterpiece Prime video and PBS Passport streaming services Nov. 21. The epic drama “Jamestown,” from the makers of Downton Abbey and written by Bill Gallagher (Lark Rise to Candleford, The Paradise), follows the lives of three women who leave their dark pasts behind in England to start new lives on the edge of the Virginian wilderness in the 17th century colony of Jamestown. Season two takes viewers back to a thriving colony, where the tobacco plantations are starting to provide the wealth they promised and trade booms, but the status quo will soon be disrupted by births, deaths and broken marriages. A new episode of “Jamestown” will be available each Monday on the PBS Masterpiece Prime Video channel, available to Prime members for $5.99/month after a seven-day free trial, and in PBS Passport, a member benefit for PBS station donors that offers extended access to public TV programming. The Nov. 13 two-disc “Breaking Big” release ($34.99) features 12, 30-minute episodes. Produced by OZY Studios and hosted by Carlos Watson, the series looks at the twists and turns on the road to thriving careers for some notable figures in various fields. It features 12 talented men and women, from country music superstar Jason Aldean and former Fox News anchor Gretchen Carlson, to Oscar-winning director Lee Daniels and chef and restaurateur Eddie Huang. All overcame obstacles and long odds. The program includes analysis from eminent social scientists, marketing experts, film critics, book editors and others to help viewers understand their risk-taking and bold moves. 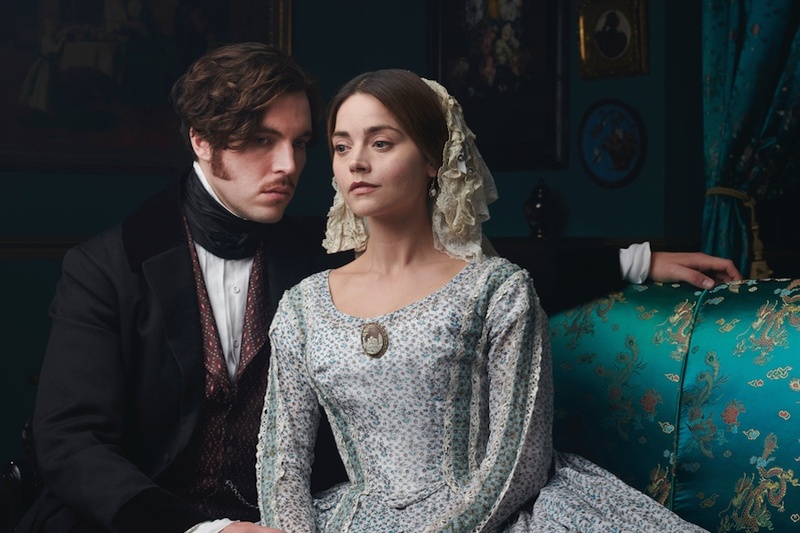 PBS Distribution has inked a deal with Walter Presents, a streaming on-demand video service, to bring more than 300 hours of the international drama to Prime members on the PBS Masterpiece channel available on Prime Video Channels. Starting Oct. 19, subscribers in the United States can access the Walter Presents collection of top, award-winning drama series from around the world for $5.99 per month after a seven-day free trial. Curated by Walter Iuzzolino, whose venture first gained popularity in the United Kingdom, the library of international dramas includes series ranging from Nordic thrillers to French political dramas, all with English subtitling. Additionally, select top-tier titles will be chosen by PBS for broadcast on PBS stations and streaming on PBS Passport, a digital member benefit available through local stations. Walter Presents series coming to PBS include “Norskov,” a Nordic noir story about a police detective fighting corruption in his home town; “13 Commandments,” a Belgian thriller about a self-proclaimed modern-day Moses Inspired by the 10 commandments who is committing a series of gruesome crimes in a bid to restore society’s moral standards; and “Professor T,” another Belgian series about an eccentric and socially inept criminal psychology genius who reluctantly becomes an advisor to the police. Walter Presents launched in the United Kingdom on Channel 4’s on-demand service “All 4” in January 2016. The adage, “When in Rome …,” appears to apply to owners of Amazon media devices such as Kindle, Echo and Fire TV more than among other streaming device ecosystems. 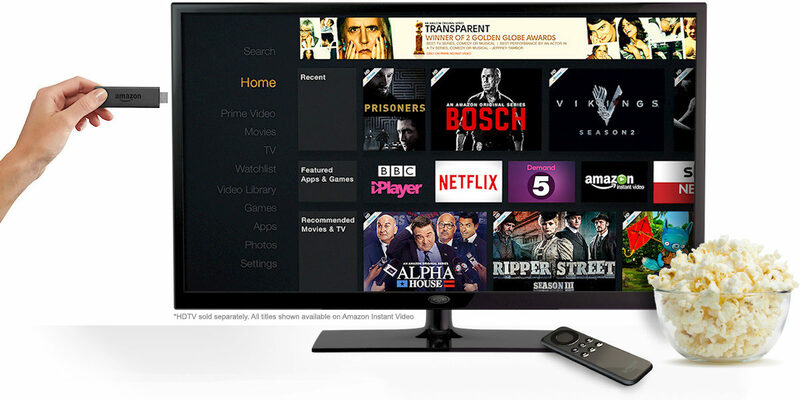 New data from IHS Markit found that more than two-thirds of Fire TV owners subscribed to Prime Video in the U.S. in the first quarter of 2018 — a higher penetration than for any other connected streaming device, including Roku, Apple TV and Google Chromecast. This noteworthy as brand loyalty is especially important in video, because entry prices for streaming devices are relatively low, and all of them offer somewhat uniform content offerings, so consumers have a wide range of choices. While Apple changed the music landscape by tying its transactional music service to hardware more than a decade ago, it is now hard to lock consumers into one content ecosystem. Consumers expect flexibility and the ability to access their content across devices, so building a fluid ecosystem ensures higher brand loyalty and trust, resulting in increased usage of devices and services and the likelihood of future purchases. Indeed, Fire TV owners are also more likely to select Prime Video as the “best video service for content on the go” and “flexibility of viewing.” More than 25% of Prime Video subscribers believe Amazon provides the largest content catalog. They are also twice as likely to turn to Prime Video first when looking for video content to watch. The findings are part of IHS’ “Connected Devices and Media Consumption” survey conducted in April. The data would appear to highlight the importance of a proprietary device and user interface that allows consumers to gain access to a wide range of content services, while enabling the device manufacturer to control the user experience. The value-added benefits of offering streaming devices and video services, in terms of perception and usage along with the ability to maintain their direct-to-consumer relationships and interfaces, has driven other operators and device manufacturers to follow Amazon’s lead, according to IHS. 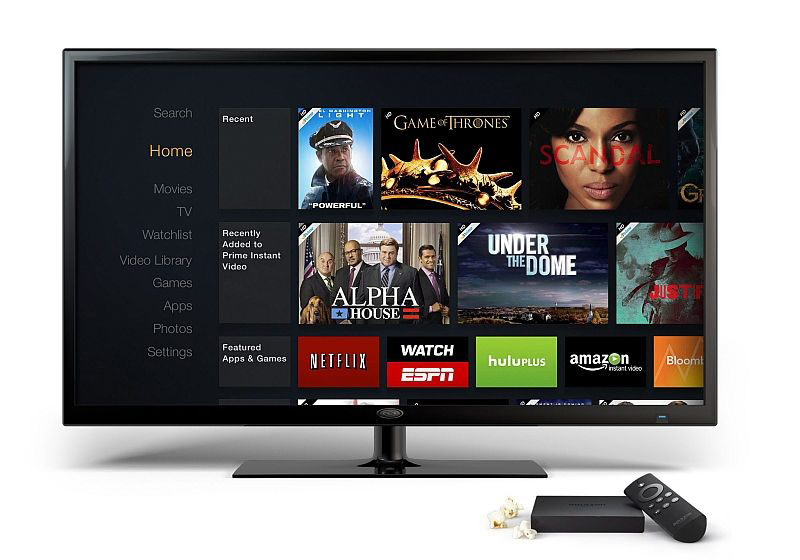 Fire TV was one of the top sellers in Amazon’s Prime Day in July, and there are rumors of an upcoming user experience update, which is likely to result in improved consumer engagement with Prime Video.